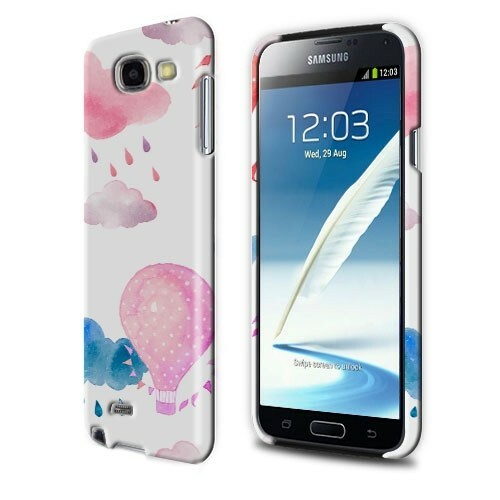 By using the all around printed cases you ensure that your Galaxy Note 2 is protected against multiple signs of damage like scratches or dents from dropping your phone or moving your phone across tables, which are all things that accure frequently. The plastic hardcase offers protection for both the back and sides of the phone, but it also adds a new charisma to the Galaxy Note 2. The case won't get in the way of daily use of the phone, thanks to useful openings for the camera and buttons, you keep full control. Due to this being a full wrap case, there is plenty of room for your print. Go big with your design and have it printed on the entire case. This mean the image is not only on the back of the case, but also on the sides. Making a case is a simple and fast process using our design module. In the designmodule you can directly upload images and pictures, so the design can be made to satisfaction onto the case. You can also add a fun text or image in different colours and fronts. Finished designing? 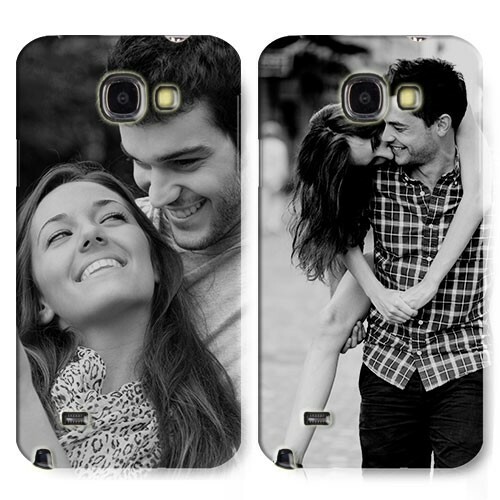 The case is easily orderd with a variety of ways to pay, credit or debit card. We ensure that your case gets to you as soon as possible. If you place an order on a week day, it will be sent within 24 hours!. We also want to make sure that you get helped as quick as possible if you have a question. Our customer service is always available and will reply within 8 hours on a working day.